Cherdo on the Flipside: BOTB Blame Game Results: It's a Howie Landslide! BOTB Blame Game Results: It's a Howie Landslide! 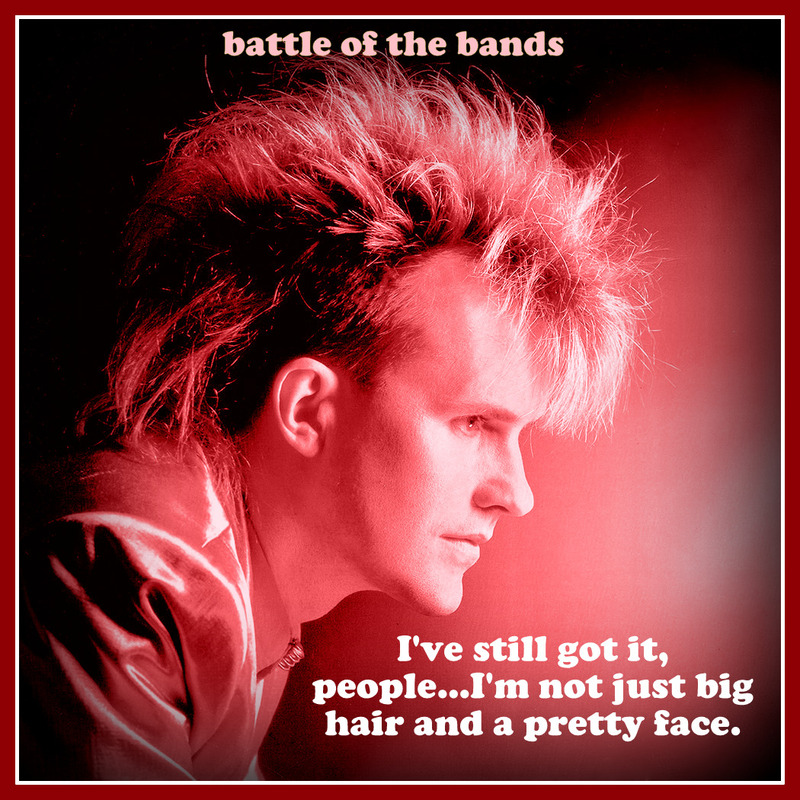 HOWARD JONES WINS THE BATTLE! Wow, Howard should feel pretty good about himself this morning - that was practically a landslide! Not in a Stevie-Nicks-trying-to-keep-visible kinda way, but in a lovely validation of a great tune. Mr. Jones: to the victor go the spoils! Sing us out! What's next? Well, I'm pretty certain you'd blame me if I forgot to tell you that results are posted on my fine peeps' pages and you need to see how that shook out. We will all see you back and battlin' on April 1...so don't be a fool, be there! For once I picked a winner. How did that happen? Mulch to my surprise, Jones won. Howie do dat? From what I've read, Howard Jones tried to get into the military, but when he was rejected because he couldn't pass the physical fitness requirements (i.e., 3 push-ups and 10 jumping-jacks), he grew his hair up as a kind of "extended middle finger" to the entire military-industrial complex. I don't know how mulch of that story is true, but it's entertaining whether fact or fiction. My thinking on this Battle was in the mainstream of the voters. Still, I did like the other guys, but just enjoyed listening to Howard better. Yikes, what a victory for Howard! I figured he would win but wasn't expecting this outcome. Thanks for sharing and have a great weekend! Congrats on Howie! I love the 12" remixes of his singles! BOTB Results: The Monkees Win! Shocker!